Celebrating a Waratahs win over the Blues this weekend would be like urinating into the wind – which is better than doing it on a bar. Who knows, maybe Nick Phipps will mark the end of the losing streak with a streak of his own across Brookvale Oval on Saturday night. Or has his bucks party finished? Much has been made of the Australian teams’ Super Rugby losing run to New Zealand sides, which stretched to 36 games when the Brumbies lost 21-8 at home to the Crusaders last weekend (it’s creeping up to two years since NSW defeated the Chiefs). That number should comfortably rise to 37 on Friday night, when the up-and-down Melbourne Rebels host the bruising and skilful Crusaders, who by the way – given we’re on a streak theme – are on a five-match winning run. There’s a decent chance Queenslanders will be barracking for the Blues. 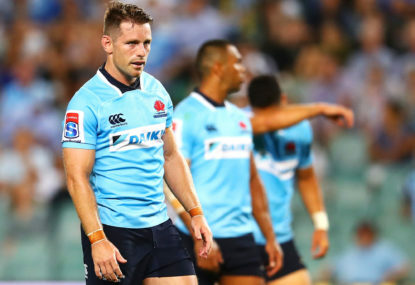 But for the rest of Australia’s rugby lovers there will be no better chance to end the drought than when the Waratahs take on the embattled Blues. 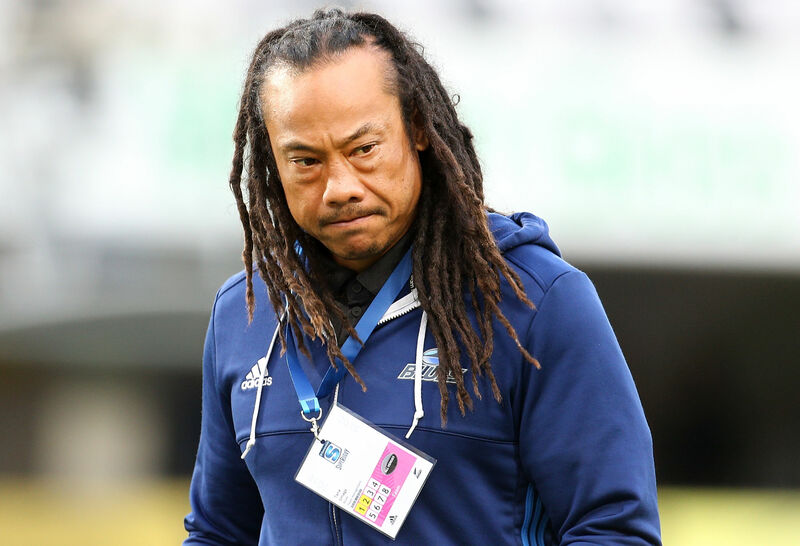 Tana Umaga’s team have lost seven of their nine matches in 2018 and five of their last six to sit well clear at the bottom of the Kiwi conference. Their injury list is awful – more than 15 – including George Moala, Melani Nanai, Michael Collins and Jerome Kaino, while Sonny Bill Williams is likely to miss another week. It could be argued it’s the type of match-up the Australian conference-leading Tahs would dread given the Blues will be motivated by national pride and arguably the future of the popular Umaga. Imagine the collective depression if our best team can’t beat New Zealand’s worst. Time to cut another team? So should a wave of positivity follow victory, if it indeed comes? Could it be deemed a turning point in the trans-Tasman rivalry? A watershed moment. A line in the sand. Monkey off the back? Cliché bingo! It almost goes without saying really, given that just this season, the average losing margins of Aussie teams against Kiwi sides is around 25 points. And none have faced the Blues yet. Of course, I’m being a pessimist. But the Blues aren’t a barometer of where the trans-Tasman rivalry is at. If you’re into streak-breaking, then a Waratahs win will be worth a cheer. But we will have to wait until the end of May to have a clearer picture as to whether last year’s axing of the Western Force has produced the desired result: making Australian rugby more competitive in Super Rugby. After the Blues, the Waratahs play the Crusaders in Christchurch, the Highlanders in Sydney and the Chiefs in Waikato. Also during May, Queensland face two Kiwi teams – the Hurricanes and Highlanders – before the season break for the June Tests. The Reds’ gritty win over the Lions last weekend was encouraging in a broader sense, given they’ve been the best South African team for a while. However, Australia’s standing pre-Bledisloe will always be judged by results against the New Zealand teams. The Blues will be tough and despite all their injuries will still play at a speed that the Tahs haven’t experienced yet this season. But they are just a teaser to the rest of judgement month. If the Waratahs can beat one of the Kiwi teams away – the Crusaders or Chiefs – then Phipps won’t be the only Aussie rugby lover losing bladder control.